I really like it, honestly the pockets look good and I like the length on you. Very suitable for work. Oooh, I love it! 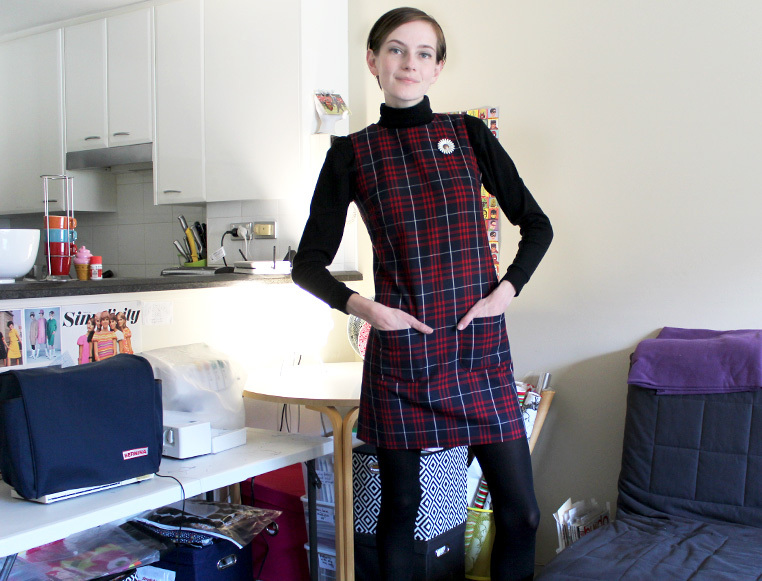 Pinafore dresses are the best for winter workwear. 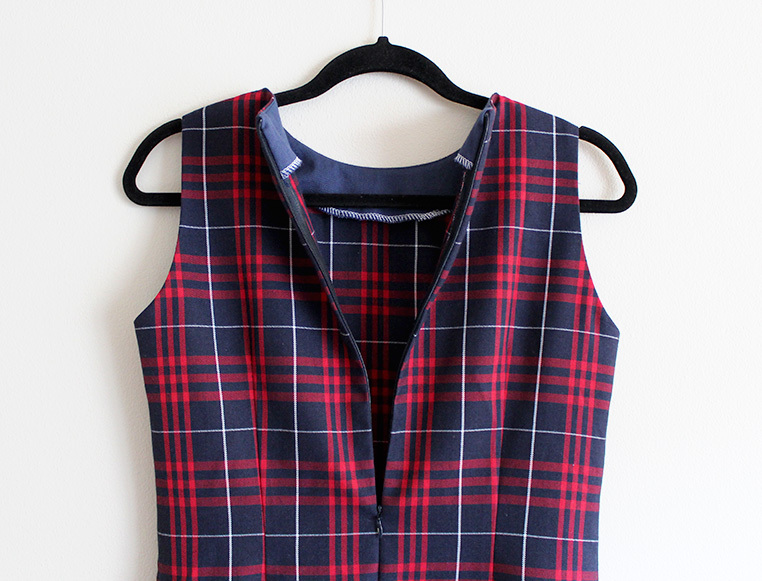 It reminds me of a school uniform in the very best way – i.e. not my old uniform (smurf blue polo shirts and sweatshirts – lovely). I think everyone finds it hard to always be positive and not worry. It sounds a bit silly, but when I feel dragged down by worrying about something I have to do, I think about what two of my most confident friends would do. Generally, that means gathering all available facts so I feel prepared for whatever ridiculous thing I’m panicking about is, and then just doing it. If in doubt, pretend to be someone else, that’s my motto!! That’s great advice! I like the idea of channeling someone you admire. X great approach! Thank you! aww 😀 Wow I would have never pictured you as ever being shy. You seem so outgoing 🙂 I guess we have all changed since then. Yes! in the final year or two people start to mature and they allow others to be themselves more which is great! I love this dress! And the pockets look great. I know what you mean about school uniforms – I still can’t quite bring myself to wear the same maroon shade used in ours. It’s funny what can bring back certain memories and emotions from the past. If you hadn’t mentioned the pattern on the pockets I’d have assumed it was a feature. 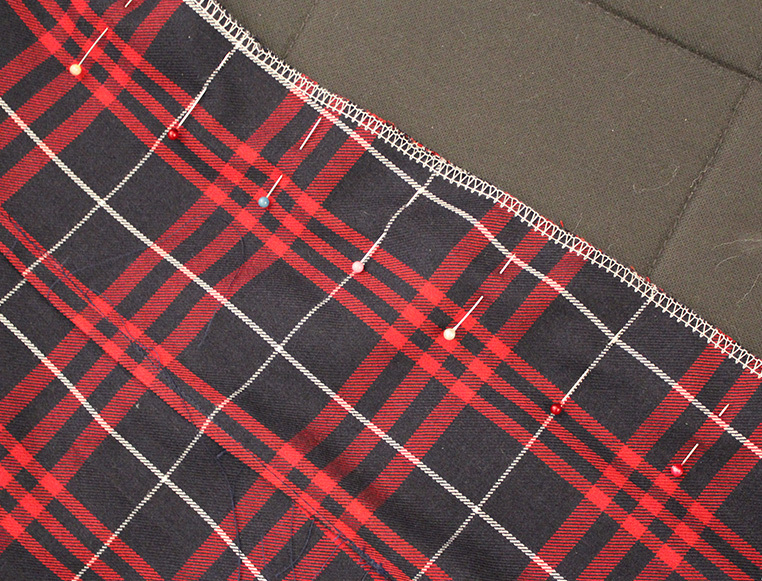 I quite like the way the pockets break up the uniform tartan. 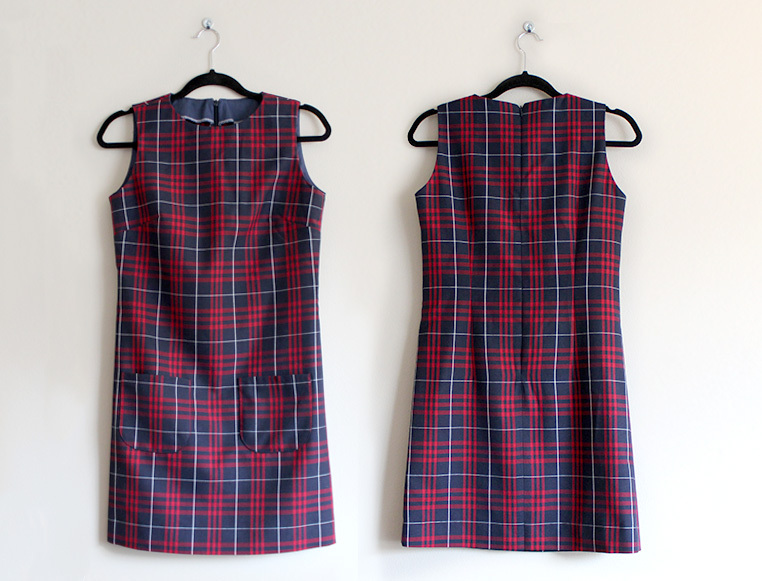 It’s a cute dress and I hope you wear it a lot. 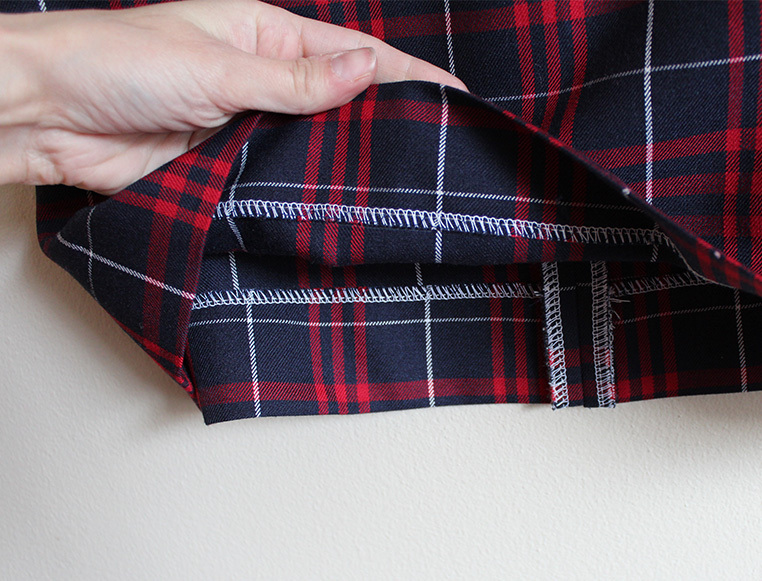 I’ll have to try the blind hem foot for topstitching, thanks for the tip. Thanks Catherine! Yay! 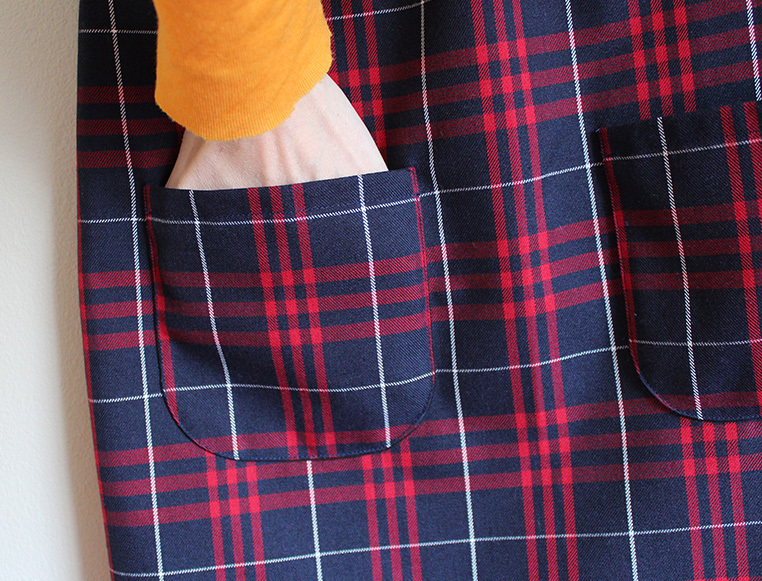 So pleased you like the pockets! I think i’ll have to wear it a lot- now that I know someone as stylish as you approves of it! ;). 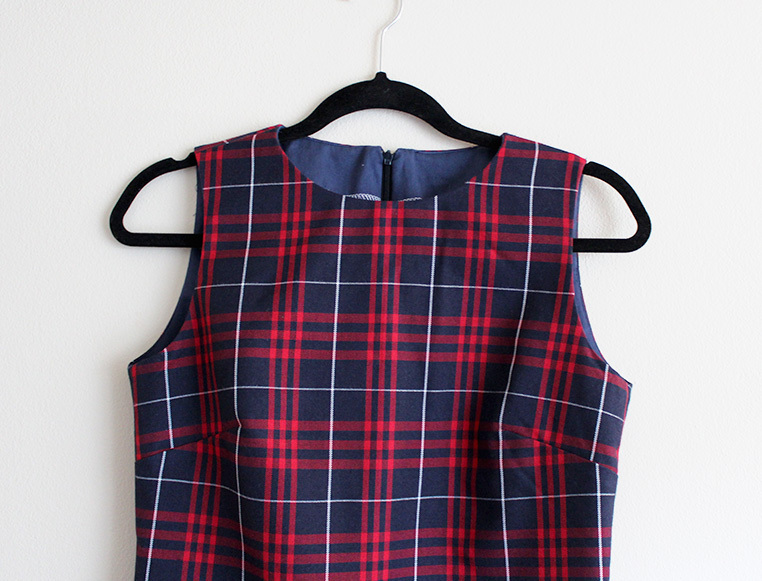 Supercute dress! I love the fabric and your pattern matching is spot on! I was wondering if you’d like to take part in a Blog Hop. It involves answering 4 questions about your blog writing and then nominating 3 other bloggers to carry it on. I’ll be posting mine in a couple of days and then you’ll need to post yours a week later. Let me know if you’d like to join in and I’ll give you the details. Cheers, Coo (aka Betty Stitchup). 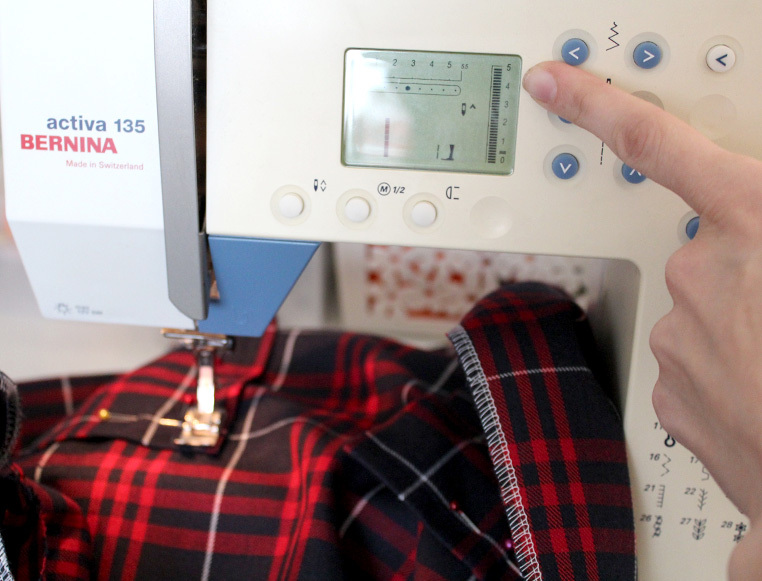 I’ve just posted my blog hop post – http://bettystitchup.blogspot.com.au/2014/09/blog-hopping.html. You’ll be answering the same questions for yours, really look forward to seeing your answers next week. And you like ska music! I sing with a ska band here in Perth called the Isolites, it’s mostly our own songs and some early rocksteady/calypso stuff too – heaps of fun, I love it! Very sweet indeed! 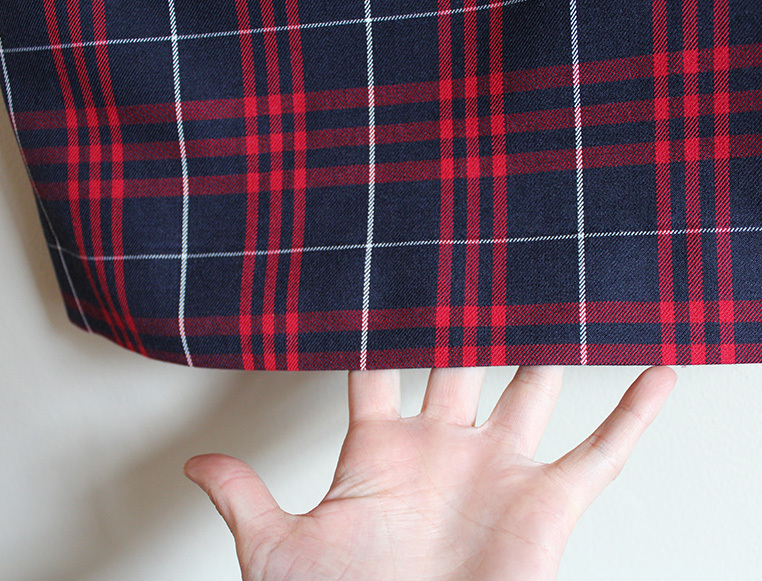 I must try a blind hem, I’ve been in denial about how easy it is for a long time! 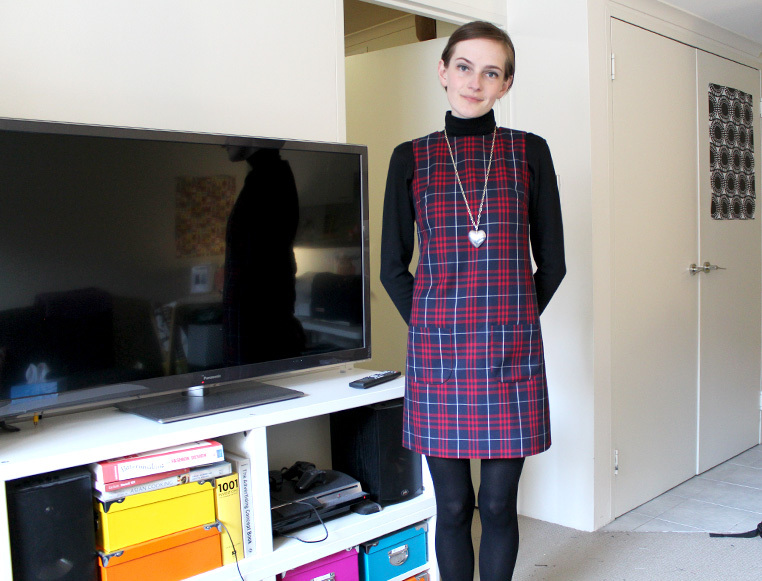 Terrific shift dress! 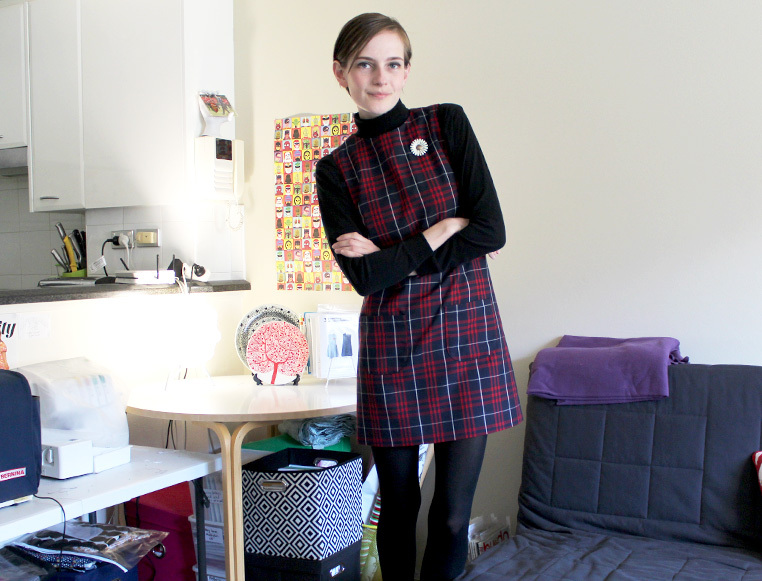 I agree – finding a perfect shift dress is a neverending – but very worthy – quest. This is great! I was just thinking, oh I like what she’s done with the pockets, before reading the part where you said you weren’t sure about them. The length is good, too. 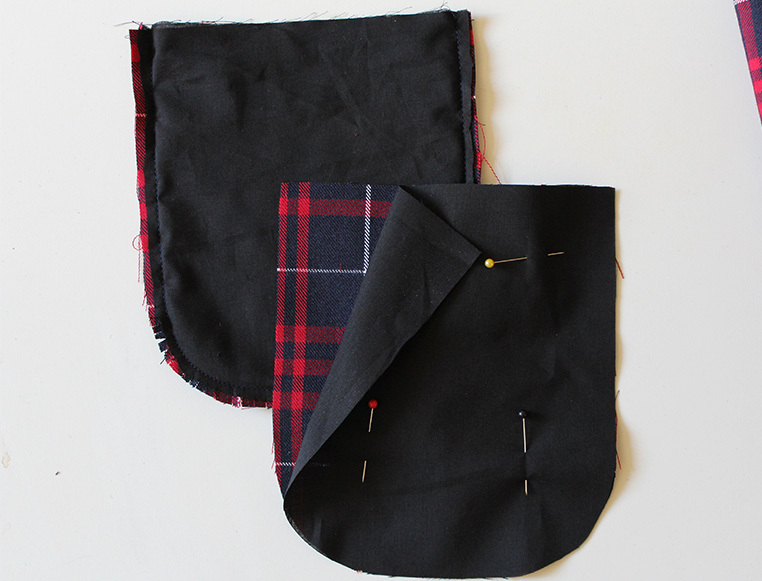 Oh and I really like your tip about the blind hem foot for the pockets! 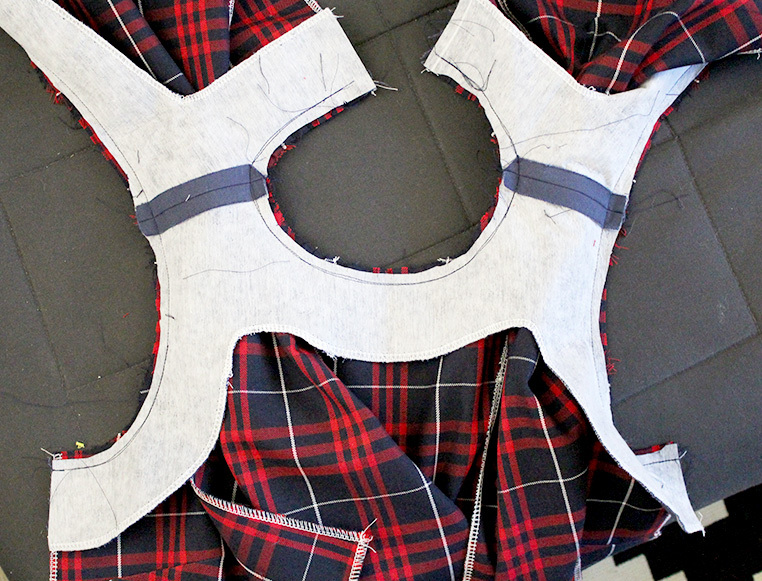 I guess that could work for top stitching on facings too, cause I always start of well and then get all crooked at home point. Good tip! Haha yeah not many in my group were into ska (cept me and one other girl). I was at a public school too. Thanks! Oo yes! I’ll have to try it for facings too! 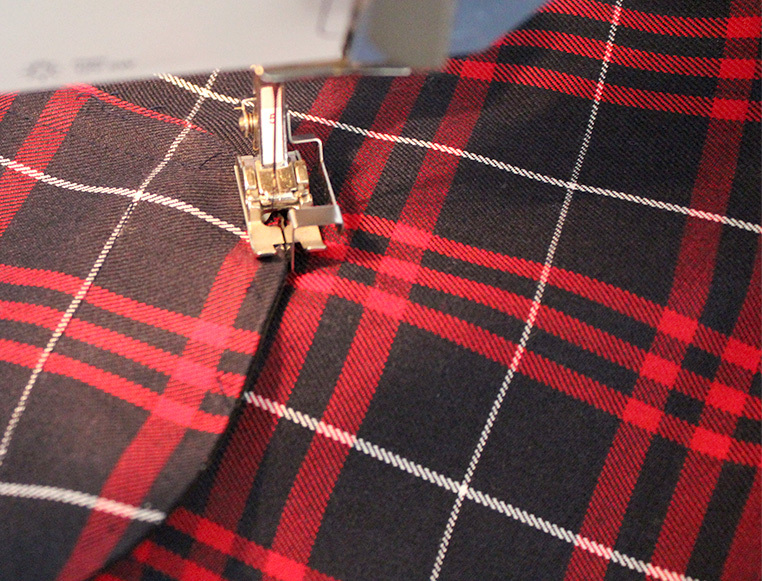 I’ll let you know if I see any cotton tartan. I’ll keep an eye out too. I haven’t seen any lately but I managed to get some a long time ago at spotlight. It’s crazy how it’s so hard to find!